Salisbury, Wiltshire, bifold doors, replacement windows, conservatories, orangeries. Described as the City in the Countryside, Salisbury retains much of its historic past. 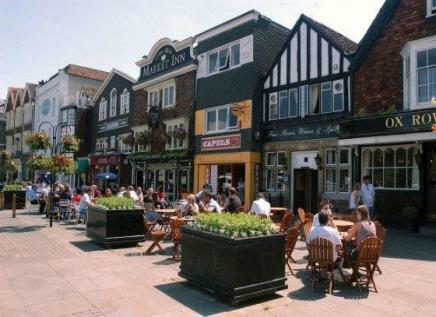 With timbered buildings, an Early English Gothic Cathedral home to the famous Magna Carta, a thriving market, museums and some of England’s finest historic houses, Salisbury has great blend or period and modern housing. Since our inception we have worked on numerous projects, building conservatories and installing new windows and doors for our customers. Examples of our work are all over the area and surrounding villages such as Rockbourne , Fordingbridge, West Tytherley and Over Wallop to name a few. Many properties in this region have their own personality and character, and enhancing or maintaining this is vital for their owners. Rococo have recently seen a trend with customers who are developing new properties or re vitalising their current home by adding kitchen extensions or lounge extensions, Orangeries and garden rooms and selecting architectural aluminium to deliver a more modern and contemporary view at the rear of the property of the house, but maintaining their rural feel at the front, with the use of more natural products such as sliding sash windows or storm evolution’s timber alternative products.